A few helpful hints to consider when picking out a wedding band. 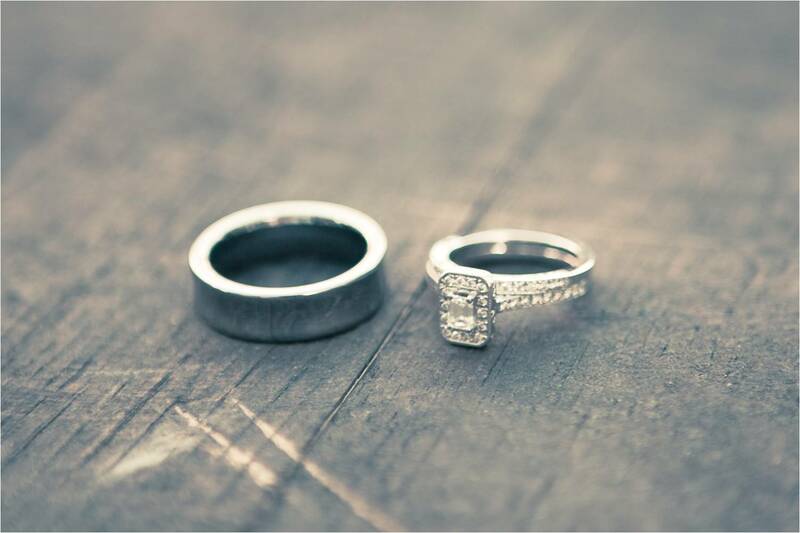 Wedding Band Tip #1: The wedding band and engagement ring should be made out of the same metal. When rings of different metals rub against each other the harder metal wears out the softer metal. The sides of the prongs can wear thin and compromise the security of the diamond. Keeping the engagement and wedding ring metals consistent will prolong the life of both rings and help ensure the integrity of the prongs. Wedding Band Tip #2: A wedding band should accentuate the engagement ring and center stone. Wedding Band Tip #3: A wedding band should sit flush against the engagement ring. If your engagement ring has a long diamond or big head that sticks out, it could prevent the wedding ring from sitting flush against the engagement ring and create big ugly spaces. To ensure a proper fit the wedding ring will have to curve around the engagement ring or diamond. You can either search for a curved wedding ring at jewelry stores or design a custom wedding ring. Designing a custom ring may save months of frustrating searches. Wedding Band Tip #4: Wait 6 months before soldering the ring and band together. Some women decide to solder the engagement ring and wedding ring together to prevent the wedding ring from spinning around on the finger. We recommend wearing the rings for six months before soldering to get a feel for how you will wear the rings. You may find yourself taking off the engagement ring when going to the pool or gym, something you will not be able to do if the two rings are soldered. Wedding Band Tip #5: Choose a wedding band to fit your lifestyle. Don’t make design style your only consideration, be sure to also consider your lifestyle and comfort. If you work manual labor consider a scratch resistant ring such as tungsten or cobalt. If you work around fabric choose a smooth ring without sharp prongs that can catch on fabric. If wearing a ring feels uncomfortable consider a comfort fit band for a more comfortable feel. The inside of a comfort fit band is rounded giving a more snug and natural feel on the finger. Platinum vs. Gold, Which is Better? 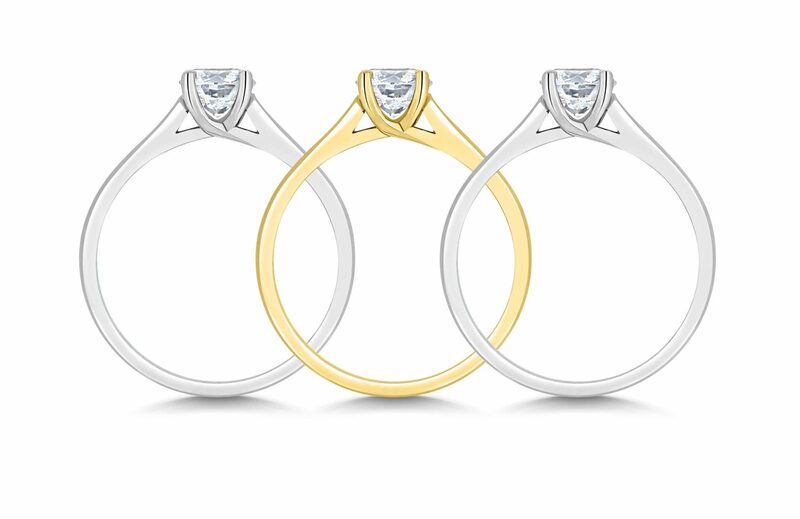 Customers often ask us which metal is better for engagement rings, platinum or gold? There is no right or wrong answer since the decision is based on personal choices such as convenience and price. We like to present the facts and let our customers decide. So here are some advantages and disadvantages to each metal and you can make the call. Platinum is the more expensive of the two metals and carries the triple whammy. It is typically more expensive per ounce than gold, it is a denser metal so the rings end up heavier, and the metal is much more difficult to work with so labor charges are higher compared with gold. At the time of this article gold is actually more expensive per ounce than platinum. Gold is priced at $1660 per ounce compared with platinum at $1519 per ounce. However, what some consumers don’t realize is that gold used to make jewelry is not in its pure form, while platinum is almost pure. Jewelry is typically made of 14K (58% gold) and 18K (75% gold) gold, compared to 90-95% pure platinum. Applying purity percentage to the price will yield $962 for 14K and $1,245 for 18K, compared with $1,367 for 90% platinum. Factor in the greater density of platinum and it outclasses gold in price. Gold is a naturally yellow metal while platinum is a naturally white metal. To create white gold, nickel (a white metal) is mixed into the gold alloy to reduce the yellow color and produce a pale yellow alloy. After casting a ring using the alloy, the ring is electrically plated with rhodium (a white metal) to create a white appearance. The downside to white gold is ongoing maintenance. The rhodium plating hiding the yellow gold wears off every 6-12 months and the yellow color begins to show. The ring must then be re-plated with rhodium to preserve the white appearance. Platinum does not require ongoing maintenance to look white. Platinum is a naturally stronger metal than gold, but gold is actually harder and therefore more scratch resistant. Yellow gold gets softer with increasing Karat purity, but white gold is opposite. So while 18K yellow gold is softer than 14K yellow gold, 18K white gold is harder than 14k white gold. 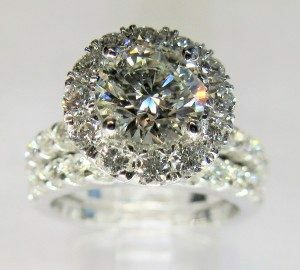 Because platinum is a stronger metal it is more durable allowing platinum rings to retain their shape better over time. This makes platinum prongs a more secure option for diamond settings compared with gold. Gold prongs bend easily and can shift, but platinum prongs are very difficult to move. In summary, gold is lighter, cheaper, more scratch resistant, and requires maintenance to keep the white appearance. Platinum is stronger, heavier, more expensive metal that offers added security for diamonds and requires no maintenance to preserve its white color. You make the call! For those who are not familiar with the concept of a “Push Present,” it’s a present a father gives a mother when she gives birth to their child. According to TIffany’s & Co. when your wife gives you a baby you should give her twins, one diamond for each ear. But not everyone can afford thousands of dollars for diamond stud earrings. So Top Rate Diamonds set out to find a suitable and affordable alternative that also conveys a sentimental message. What we found is an endearing gift called The Mommy Pendant. The Mommy Pendant has a unique abstract design of a mother fondly embracing her baby. The company’s tag line is “celebrate a mother’s first embrace,” and they captured the moment with an elegant design suitable for everyday wear. The baby’s birthstone represents the baby, adding a sentimental touch. What we loved most about The Mommy Pendant is being able to build your own! You get to select your design (up to 3 kids in case it’s not your first baby), the metal, and finally the birthstone, so that your pendant is truly a personal gift. The Mommy Pendant starts at $149 in silver, and don’t worry, if your kid is born in April and you need a diamond as a birthstone, you can opt for a simulant instead of the genuine stone and still keep the same low price tag. The pendant also comes with a free chain, but the company offers upgrades in case you want a nicer chain. Guys spend many hours and thousands of dollars to find the most sparkling engagement rings, but it only takes one hand lotion session to smear away the sparkle. So how do you keep that ring sparkly? Buying expensive “miracle” cleaning solutions and electronic equipment like ultrasonic cleaners is not necessary. There is a very cheap and easy trick to clean your engagement ring and keep it sparkling like new, and you can do it at home. 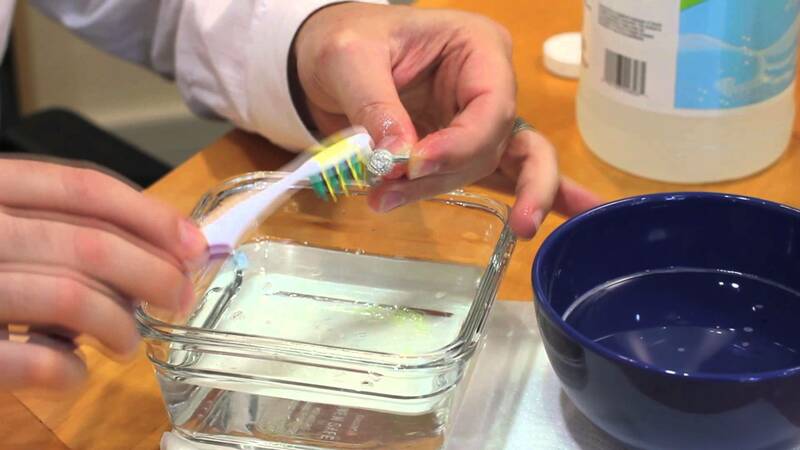 All you need is an ammonia based cleaner such as Windex, and an old toothbrush. 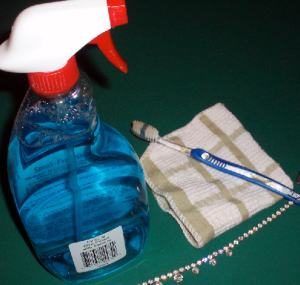 Spray the cleaner on the engagement ring and scrub with the toothbrush. Repeat this 2-3 times until the ring looks clean and the diamond sparkles. Rinse the ring in warm water and wipe it with a lint free cloth (like a microfiber cloth to clean glasses). WARNING: If you rinse the ring in the sink make sure the drain cover is on or you may end up filing an insurance claim. While cleaning the ring make sure to get the bristles into all the nooks and crannies to remove the hard to reach gunk. Fatty residue such as moisturizers and sun block lotions can be especially stubborn. They stick to the diamond and block out significant amounts of light from entering the stone. Over time the layers of lotion accumulate and make the diamond opaque. Be careful using ultrasonic cleaners because the vibrations can loosen the diamond in the prongs. We recommend having the engagement ring professionally cleaned once a year. The jeweler will inspect the prongs to ensure the diamond is still secure, and they will also use high powered steam to remove any built up residue on the diamond. Just two years ago the only wedding bands typically found at jewelry stores were made of platinum and gold. But as the prices of these traditional metals continue to surge, alternative and more affordable metals are becoming increasingly popular choices for wedding bands. These metals are primarily palladium, titanium, tungsten, and cobalt-chrome. To help you understand the differences among these metals we prepared a table comparing the most popular metal choices for wedding bands today. Naturally White Gun Metal Gray. Not only do alternative metals present a more affordable option to gold and platinum, they also present hundreds of creative new style options that break the traditional wedding band mold. Designers are using the multitude of colors to come up with new and innovative designs never seen before in the wedding band industry. Guys are no longer locked into traditional designs, rather they can choose from hundreds of designs to match their individual fashion styles; “out-of-the-box” contemporary styles such as ceramic with silver inlays (see below), or tungsten with carbon fiber (see below). The alternative metals also provide choices best suited for different lifestyles. For example, a mechanic or firefighter who work with their hands and expose their rings to harsh environments may opt for a durable and scratch resistant metal such as tungsten. While a teacher may opt for a lighter metal such as titanium. Top Rate Diamonds offers a wide variety of alternative metal wedding bands. To view our selection click here. Tired of Your Old Engagement Ring? Redesign It! Just like cars and clothes, jewelry can get old and stale so we want to freshen up our collection every so often. But what happens when it’s a sentimental piece like the engagement ring or wedding band? Don’t worry it does not have to be thrown away! With modern technology and some custom design, old rings can be modified and and made-over with a brand new look. Here is a story about a girl who grew tired of her engagement ring. She felt it was too plain and wanted to fancy it up, but the thought of scrapping the ring her husband gave her was very upsetting. Instead we took a less radical approach and gave the ring a make-over. 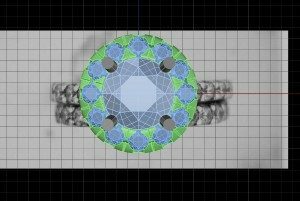 Thanks to advanced jewelry design technology and 3-D printing nearly anything is possible. Your imagination becomes the only limitation. In this case the girl decided she wanted to spruce up the ring with diamond halo surrounding the center stone. So we took the old ring and went to work designing the new head. One of the challenges was designing the new halo head so that it will not protrude and prevent the wedding band from sitting flush against the ring. 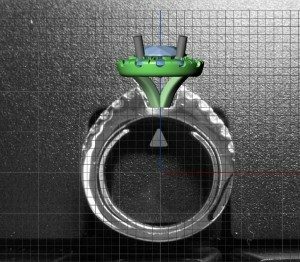 To maintain the flush fit we designed a head with curved struts and superimposed it onto the existing ring to test the fit with the wedding band (see below). The computer model shows a perfect fit. Once the customer approved the design we manufactured the ring. Here is the final ring with the brand new halo of diamonds. 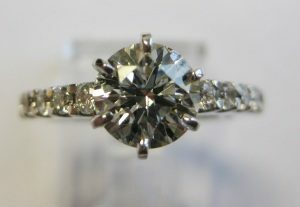 The halo perfectly wraps around the center diamond with no gaps and the wedding band sits flush with the new ring. The new ring looked fabulous! By simply custom designing a new head instead of making an entirely new ring we were able to keep the sentimental aspect and also saved our customer money. You just purchased an expensive diamond engagement ring and you wonder whether you should insure it? The short answer to this question is “absolutely!” You may find yourself spending as much money on a diamond as you would on a car, so it only makes sense that if you insure your car from loss or damage you should do the same with your diamond. In fact when comparing cost of insurance to the value of the asset insured, car insurance is much more expensive and while the insurance premiums tend to increase on both, cars depreciate while diamonds tend to appreciate. So now that you understand the necessity of diamond ring insurance, here are five common questions about the process. 1) What type of policy should I get? Diamonds and engagement rings should be insured using a separate insurance policy, not added to homeowners’ or renters’ insurance. There is misconception that diamond rings are fully covered under the homeowners’ and renters’ insurance policy, but this may not be the case. Homeowners’ insurance is an umbrella policy for all the jewelry in your home, and just like the policy states, coverage may only be limited to your home. So if your diamond ring is lost while swimming in the ocean on your honeymoon, the loss may not be covered unless you live on a boat. Another weakness to the home owner’s policy is the maximum value covered. The umbrella policy covers all jewelry in your home but the maximum coverage is limited to the dollar amount you elected. So if the maximum plan coverage is $10,000 and a thief steals all your jewelry valued at $15,000, you will be out $5,000. 2) What should I look for in the policy? The advantages of insuring a specific piece of jewelry under a personal articles policy is robust coverage from a menagerie of causes and global geographical coverage. Look for a mysterious disappearance clause in your policy to cover the diamond from practically any type of damage or loss, including but not limited to theft, chipping, cracking, misplacement, even if the dog eats it. True story… A customer of mine left her wedding set on the counter and couldn’t find them. She thought dogs ate the rings and sifted through poop for a few days. After failing to find the rings she filed a claim and the insurance company paid for a replacement. Turns out she was a victim of a serial criminal who would sneak in through doggy doors to steal jewelry. 3) How much does jewelry insurance cost? The cost of a personal articles policy is very affordable compared to the value of the protected asset. Policy prices vary among different carriers and other factors such as zip codes home security systems influence the price. But expect the cost to be about 1.5% of the appraised value, or $15 for every $1,000. Tip: electing a higher deductible can significantly lower the insurance premium. 4) What do I need to insure my engagement ring? Typically the only document required for a personal articles policy is an appraisal. Appraisals are documents prepared by qualified jewelers that appraise the estimated replacement value of the jewelry. Appraisals can cost from $35 up to $200, depending on the extent and depth of the appraisal. 5) My jewelry store offers protection for the diamond ring, do I still need insurance? Yes you do! Some jewelry stores may offer protection in case the center diamond falls out of a ring, but they typically require you to bring the engagement ring back every 6 months for inspection. If you miss an inspection the protection is voided. Also, what happens if the ring is lost or stolen? The store will not protect you against theft or loss, but an insurance policy will. If you are considering a moissanite as a diamond alternative do not waste your money. Moissanite is a lab created synthetic mineral sold as a diamond alternative. It is overpriced, often times discolored with a greenish hue, and has absolutely no resale value. You are much better off buying a $10 cubic zirconia rather than spending the money on a moissanite. Before buying a moissanite read this comparison to a cubic zirconia and how the two measure up as diamond alternatives. Moissanites tend to have a greenish yellow hue that is equivalent to a GIA color K, but worse because of the greenish aspect. Think limburger cheese. By comparison CZs are colorless and equivalent to the GIA color D. CZs tend to lose their color over time, but considering they are meant to replaced much more often that’s ok. White vs. Green, CZ wins. Moissanite clarity tends to be in the VS scale on the GIA grading system, which means very small imperfections can be seen under 10X magnification, which is your standard jeweler’s loupe. CZ clarity tends to be in the VVS to Flawless scale, meaning they have little if any imperfections. Some CZs may exhibit cloudiness, but these are extremely poorly made and very cheap. VS vs. VVS, CZ wins. Moissanites tend to be overpriced considering the cheap manufacturing process. A moissanite equivalent to 2ct can cost between $600-$800. While this is cheaper than a diamond, moissanites have ZERO resale value meaning once they leave the jewelry store the value depreciates 100%. There simply is no demand for the stone and it becomes impossible to find a buyer. Be prepared to lose every dollar you sink into it. While CZs will also depreciate 100%, they cost less than $10 and can be discarded without feeling any buyer’s remorse. Factoring in fees to set the stones, one moissanite can buy 30+ years worth of CZs. $800 vs. $10, CZ wins. Gemstone durability is measured by the Mohs scale. The Mohs scale ranks hardness from 1-10, with Talc (used to make talcum powder) being 1 and diamond being 10. Moissanites measures 9.2 compared to a CZ which measures 8.5. Both stones are very durable with moissanite having a slight 0.7 edge over the CZ. 9.2 vs. 8.5, moissanite wins. The main reason for buying a diamond, moissanite, or CZ is for the fiery sparkle they provide when set in an engagement ring. 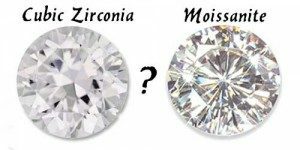 So how does the moissanite sparkle compare with the CZ? The best way of analyzing them is by comparing them side by side. Here is a video comparing the fire and brilliance of a moissanite and a high-end CZ. Both exhibit fire and brilliance so it’s tough to make the call. We’ll call this one a tie. In conclusion, the moissanite is a more durable mineral than a CZ, but considering it’s yellow color, lower clarity, and much higher cost the CZ is by far the better choice. So before throwing your money away on a moissanite consider buying a high quality cz. And if it’s in the budget go for the diamond! Pearl jewelry is taking off in 2016! Pearls offer a wide range of colors, shapes, and prices making them very versatile and affordable jewelry. Recent developments in harvesting and manufacturing techniques have paved the way for innovative and creative designs that are making pearls a very popular choice. When thinking of pearls the first piece of jewelry that comes to mind is the classic strand of whites and pinks. 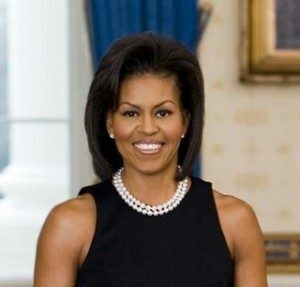 Pearls were traditionally thought of as conservative jewelry worn in professional environment or affairs that called for conservative dress. But that mold has broken and pearls are coming at us in all sorts of shapes, colors, and apps. Yes that’s right, apps! Thanks in part to new harvesting methods, pearls now come in many shapes and colors making them a much more versatile piece of jewelry. No longer limited to just the traditional white and pink colors, South Sea pearls provide a golden variety while Tahitian pearls feature grayish green, brown, and blue color hues. Pearls also come in various shapes, befitting the now fashionable asymmetric trend in jewelry. The resurgence of pearls is also due to the wide range of prices. Accommodating any budget, pearl jewelry can range from $99 for simple studs to $30,000 for large expensive strands. So if you’re looking for some new jewelry this coming year spruce up your collection with the innovative pearl designs.